Bula (greetings), we’re in Fiji! We arrived into Nadi, Fiji at around 5:30pm on the 4th June 2017 and an hour later we were crammed into a minivan with all of our luggage and about 10 other people to be taken to our hostel. Nadi is one of the biggest islands in Fiji and houses their airport so it’s pretty much always where you’ll start your time in Fiji. We stayed at the Bamboo Backpackers for the night to rest up before catching an early boat to the first of 4 Islands. You instantly see how chilled and friendly Fijians are – nothing is done in a hurry and they seem very content with their life (living in paradise must have that effect!) As it had been dark when we had got to the hostel it was a surprise the next morning to see that it was actually right next to the beach! We were picked up at 7am and taken to the harbour for a 8:30 transfer. 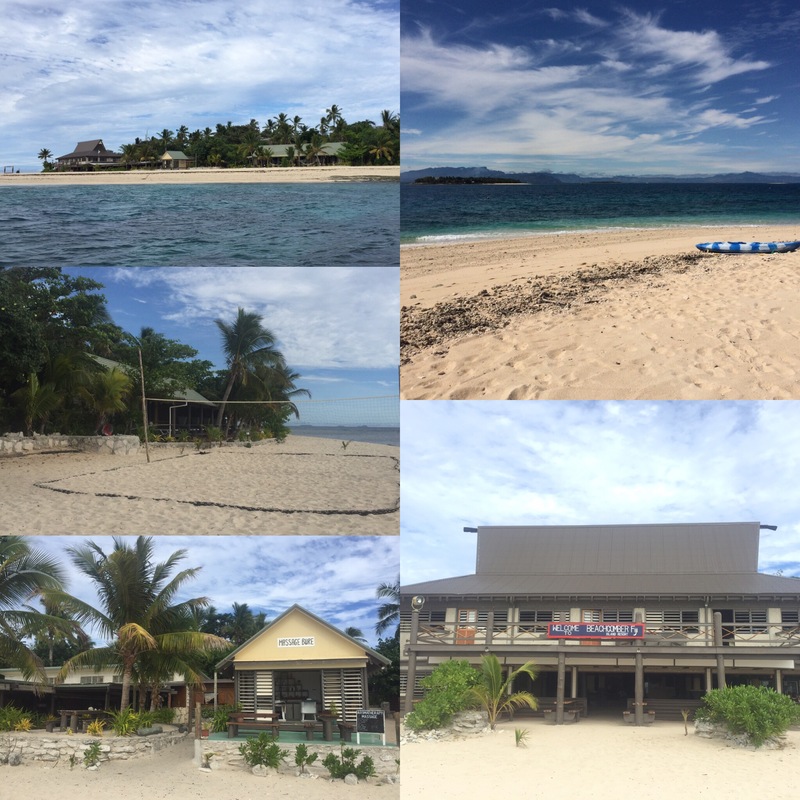 We had booked our trip with Awesome Adventures Fiji and had booked to stay on 4 different island resorts. 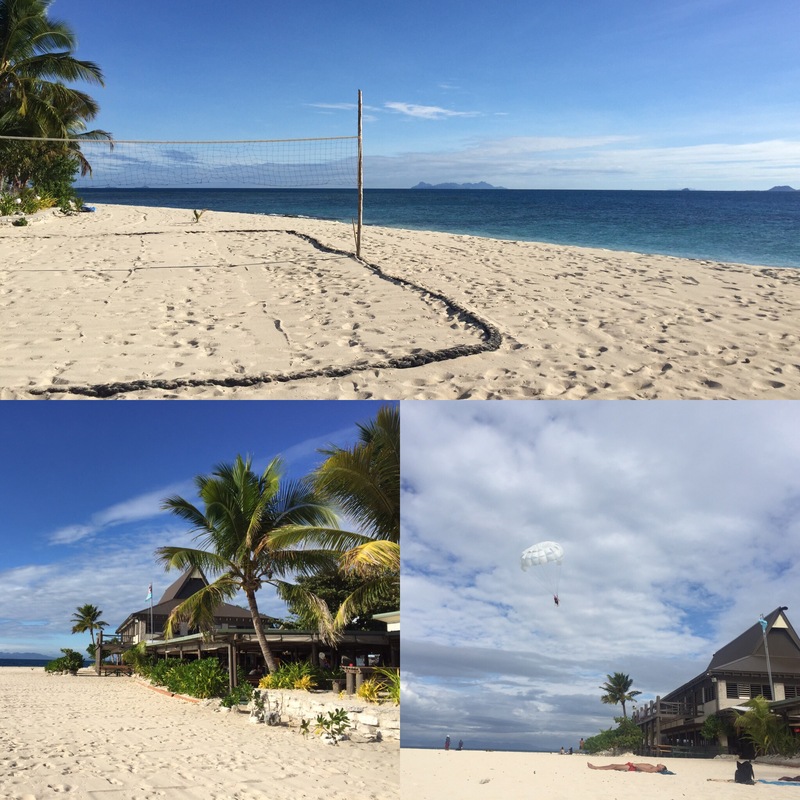 The first island we were going to stay at was called Beachcomber and was part of the nearest cluster on islands to Nadi, the Mamanuca Islands. It took around 40 minutes to get to Beachcomber but first we stopped to let passengers off at a small resort called South Sea. This island is tiny and you can see the full thing from the boat. The island looked so pretty and it made me that bit more excited to get to our island. To get to the island, a smaller boat comes out to the island transfer and takes you over to your resort. When we arrived in Beachcomber we were met by singers welcoming us to the island. We checked in, given a welcome drink and were shown to our dorms which has a lot of beds in but the beds seemed quite wide so we didn’t mind. We had a little walk around the island (it’s quite small too so this didn’t take long) and sun creamed up ready for day of sunbathing. 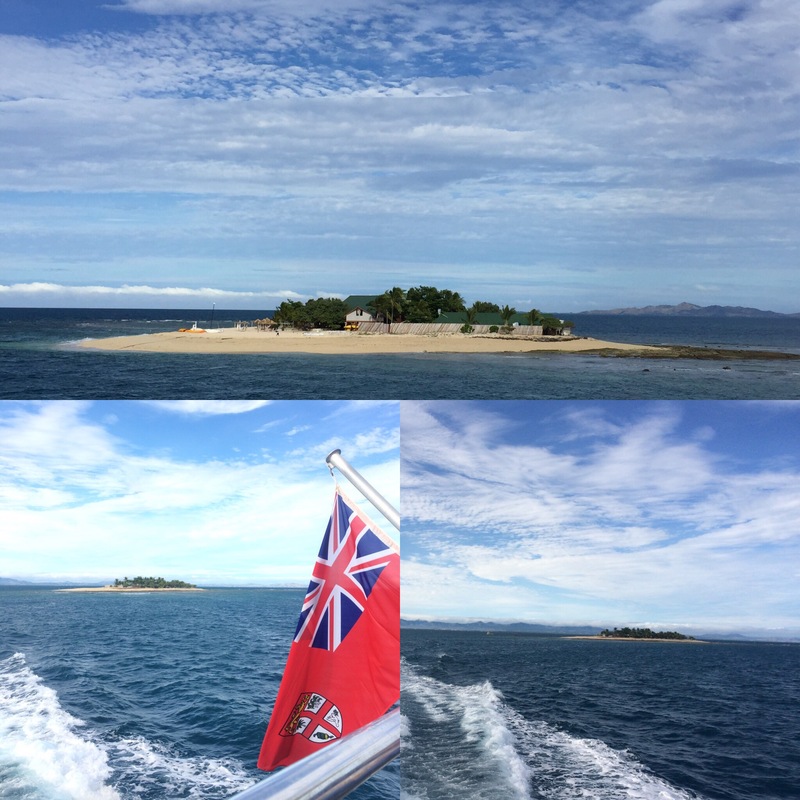 It had been cloudy when we arrived at the island but, thankfully, the sun came out while we were putting on suncream and within an hour the clouds had completely cleared! Whilst having a relax I did have an encounter with a crab – it was trying to mess with me! I was happily lying in the sun with my eyes closed when I felt something crawl on me. I opened my eyes and saw nothing, checked around me and saw nothing. Back to sunbathing and it happen again except this time I see the little crab crawling on my leg – it must have been hiding when I last looked! It definitely disturbed my sunbathing and I had to go to war with it for around 5 minutes to get it to leave my sunbathing area alone! The troubles of paradise eh? At 1pm it was lunchtime and we really needed it as we hadn’t eaten all day! The lunch was great, curried fish, chicken and vegetables with rice, bread, salad and then fruit for desert. Me and Niall both ate loads so were quite full but we loved it all! After lunch we got to go see the turtles that they are raising on the resort as part of a conservation project. They are hawks-billed turtles (or vonu in Fijian) and were 17 months old and would be released into the wild once they were old enough – its lovely that all the resorts are doing their bit in a small way for the turtles protection. 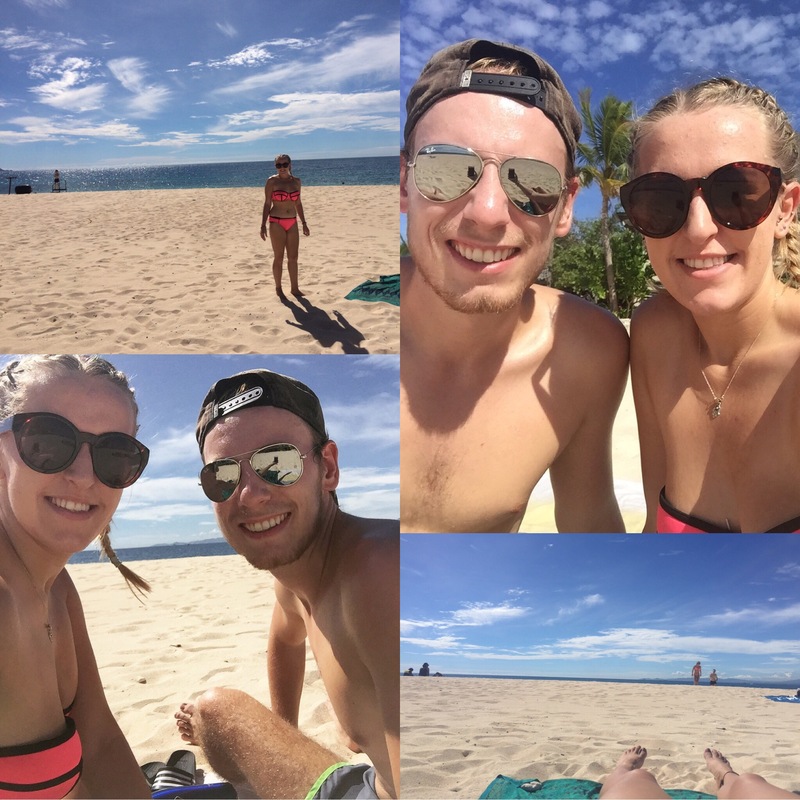 We spent the rest of the day in the sea and relaxing, reading, dozing and sunbathing. The island is so peaceful and relaxing playing music from the bar that is mellow and soothing – we both napped at some point. 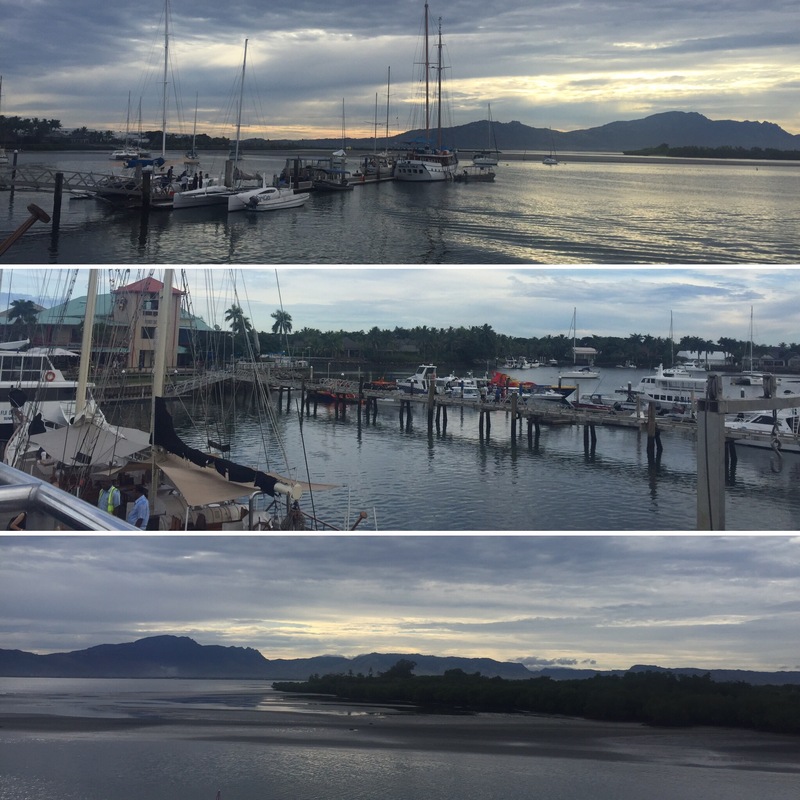 It was a really relaxing day ended with a nice meal and a chocolate cake dessert – not bad for day one in the beautiful Fiji. Our second day was very similar to the first. We were quite tired from our sleeping schedules changing so much over the last few weeks so we spent pretty much the entire day either asleep, sunbathing or both! It’s our holiday after all and I couldn’t think of a better way to spend it – doing absolutely nothing. The vibe of the resort was a lot more lively and there was a big group of day-trippers who were jet-skiing and paragliding. It was quite windy so would have been a good day for it but we didn’t give it a try – I imagine it would have been quite expensive! Beachcomber has been a nice introduction to Fiji. The staff were friendly and the weather was nice which we were really thankful for because it had been forecast rain every time we had checked. 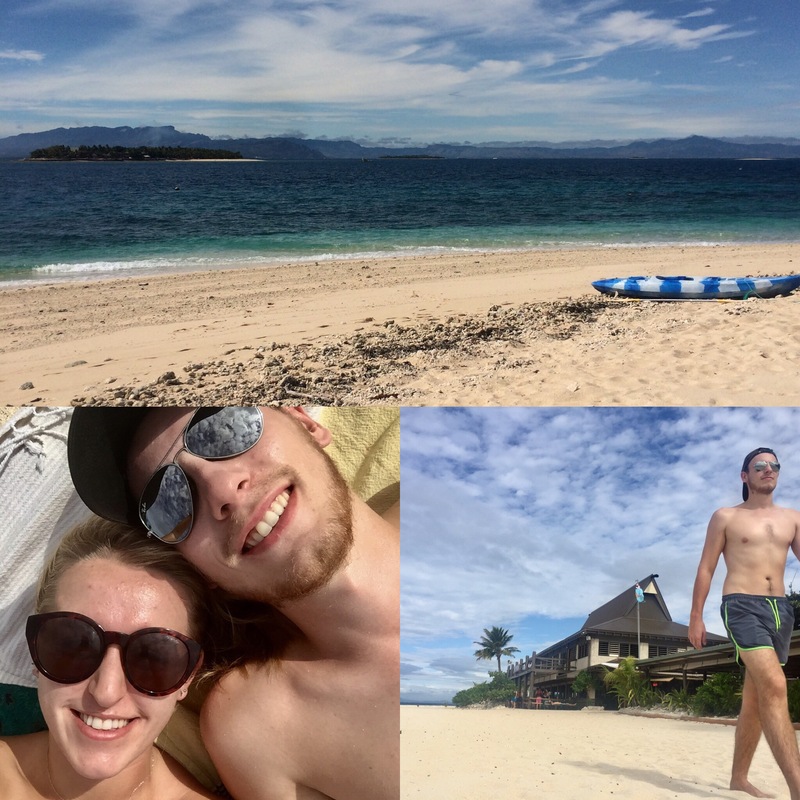 From what we have been told, the other islands we’re going to visit would be even nicer than Beachcomber which made us really excited to keep seeing more of Fiji! It was a very relaxing start to our trip.